Listening. It’s one thing that the EU, the UK parliament – and, let’s be frank here, most politicians – do too little of. 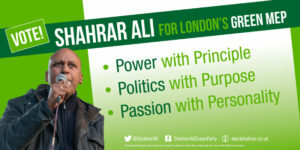 Think about the person who will be the candidate to represent London for the Green Party in Europe. Do you want them to be a good listener? Or do you want somebody who talks at people, expecting them to be convinced? I expect that the person you’d ideally like to send to the EU parliament would be a skilled scrutineer, a fast learner and able to work as part of a team. All those skills rest on one foundation – being able to absorb not just what is said or written, but grasp what it means, and show understanding with action. I’m not just about words; I’m about walking the talk. So I asked Green Party members what is most important to them in a candidate for office. What Greens told me loud and clear was that you want somebody who is committed. Who is as tenacious as a French bulldog. Not just to their job, but to Green values, too. I believe that only Green values and policy will save the planet and make life better for all of us. That’s the fire inside that drives me on. Members also told me they want somebody with an understanding of Green policy. This seems obvious. But all too often I see Greens make statements that contradict our policy without reminding others what it actually is. This breaks my heart because I’m a total fangirl about Green policy. It was our stance on land justice that drew me to start voting for the party in 2003, and finally join in 2014. There are so many others that I cherish – science-based, urgent action on the biggest threat to life on the planet, an education system that respects children, fair tax, curbing giant corporations, sharing power out to people at the most local level possible. And more that I could extol the virtues of for hours and hours. Other parties will always play catch-up to us on policy. 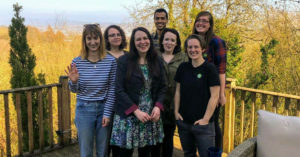 It’s become almost a saying for me – if you want to know what the other party manifestos will look like in 10 years’ time, read our latest Green manifesto. Green members also told me they wanted an experienced candidate, one who will enhance the reputation of the party. Greens are right to be concerned about that. Since 2015 I’ve been working with Labour and Conservative councillors, negotiating with different parties, regulators and organisations on a campaign against toxic financial products called LOBOs. This will bring back billions of pounds from the banks to local government. Just last week I was interviewed for Radio 4 about this work. I’ve been an environmental and social justice campaigner for the last 2 decades, and that includes international work. I think carefully before I speak, but I’m also quick to admit when I’ve made a mistake and then correct it. I’m sure there are other things you want to tell me, or ask me. Please leave a comment either here or on my Facebook page. I’m listening. And I will respond. 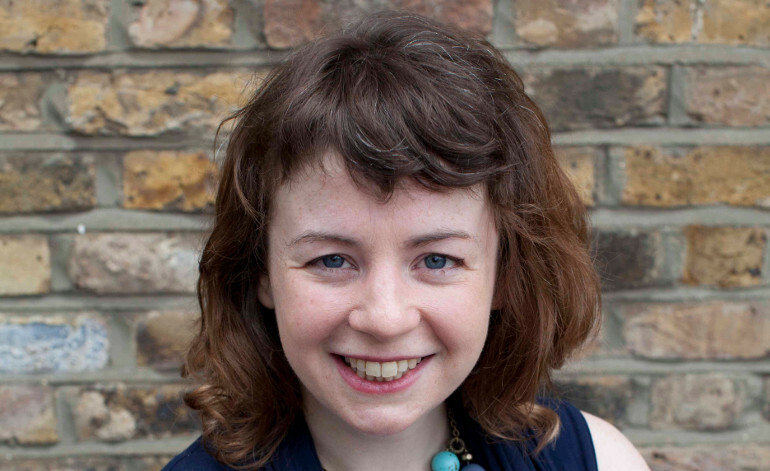 Rachel Collinson is a Green Party activist in London. 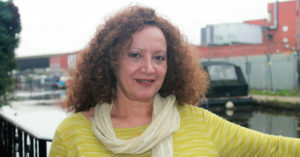 Rachel is currently the co-chair of the Green Party Regional Council, and previously served as the pary’s business spokesperson.